The mission of East Tenth United Methodist Children and Youth Center, Inc. is to provide a safe place where the spiritual, emotional, educational, and physical needs of children, youth, and their families are responded to in a holistic approach. 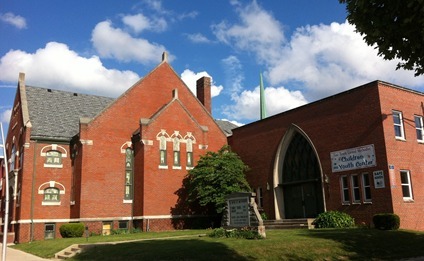 The Center is an outreach initiative of East Tenth United Methodist Church. After conducting a survey and many focus groups, it was clear that the neighborhood was in need of a safe place where the children and youth could go to learn and grow. A Board of Directors was chosen in April of 1995 and an executive director hired in March of 1996. The Center is incorporated and is registered with the IRS as a not-for-profit organization with 501(c) 3 status. We celebrated 23 years in March of 2019! Our East Tenth is located right in the heart of the St. Clair Place Neighborhood on the near east side of Indianapolis. This gives us the opportunity to serve a diverse population. We are proud to be a part of the east side community where we work, live, and play! Call 317-637-0841 for a tour today!